Canning is a great way to keep various types of food preserved for future use. This includes vegetables, fruits, and even beef. You might be surprised to know chicken can also be canned. If you raise your own chickens for meat, then you may want to know how to can chicken on the bone. Make sure you have the necessary supplies on hand to properly can chicken on the bone. You will need to have a pressure canning device for this task. 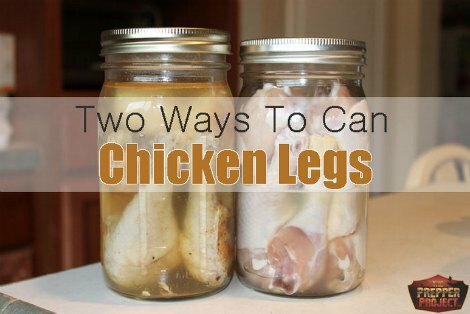 Quart sized jars are also needed as they are the best size for most pieces of chicken. The amount of chicken to add to each can depends on the size. Small pieces are best when you want to can chicken. You have the option to use a cold pack method or a hot pack method when you want to can chicken on the bone. Your canned chicken will keep for about one year.